Michael Mina gets Murray Stenson at RN74, but that’s not all! America’s Best Bartender is on the move. Yes, it’s true: after nearly a decade, Murray Stenson’s taking leave of the Zig Zag Cafe. 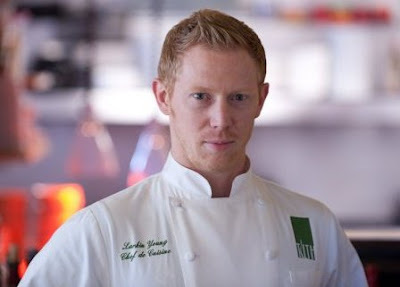 You’ll soon find him putting his signature on the bar at the much anticipated second coming of RN74 — the grand restaurant and wine bar slated to open downtown June 13 in the historic Joshua Green Building at Fourth and Pike. Word regarding Stenson’s defection spread like wildfire today. Turns out the legendary bartender dished the deets on his departure in an off-the-record conversation with Seattle Times cocktail kingpin Tan Vinh in March, explaining then that his bar at RN74 will feature a shorter menu than the one at Zig Zag. There won’t be any molecular mixology or “esoteric ingredients,” according to Murr the Blur. Just simple cocktails that can be crafted in less than two minutes: an efficient drinks-menu, designed for a crowd that needs to move from the bar to the dining area. 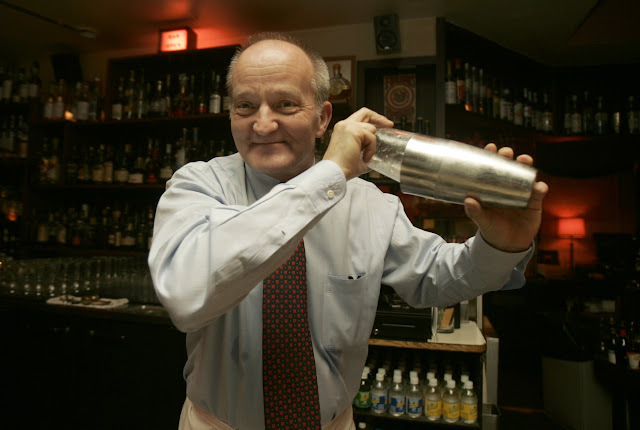 Murray Stenson, America’s best bartender, shaking things up at the Zig Zag Cafe. Stenson has received many job offers during his tenure at Zig Zag, but this move felt right, he said. For one thing, he’ll get to keep his Tuesday through Friday schedule. For another, unlike other proposals he’s considered, the Mina Group’s came with just the right mix of top-shelf ingredients — including a kitchen staff he trusts, and an ownership and investment group he respects. Heading that kitchen is chef Michelle Retallack, who’s been working closely with Michael Mina for 15 years. One of the company’s key chefs, “She’s been with me since she was in culinary school in Oregon,” Mina told me over coffee when he was in town recently interviewing prospective employees. Michael Mina, hanging out in South Lake Union. Meantime, Mina’s business partner and company wine director Rajat Parr is preparing to uncork 50-plus wines by the glass at the restaurant, showcasing — among others — labels from near (Washington, Oregon) and far (along Route Nationale 74 in Burgundy, from which the restaurant takes its name and inspiration). Culling from the local vine and keeping Seatte’s wine program on the right track as RN74’s lead sommelier is another new hire, Jeff Lindsay-Thorsen. The much sought-after Seattle sommelier and founder of W.T. Vintners will leave his short-lived position as wine director and general manager at Cafe Juanita in the hands of his friend and fellow sommelier, Dawn Smith. Smith left her post as wine maven for the Heavy Restaurant Group in May, after opening three new restaurants in Bellevue for the company: Barrio, Purple Cafe & Wine Bar and Lot No. 3. “It’s been a whirlwind,” Smith said after returning from a long-planned vacation to Europe. There she spent time exploring the wine region of Northern Italy. “Yesterday morning I woke up in Paris, but I went to bed in Seattle,” she told me. “I adore Jeff,” said Holly, who was none too thrilled to hear that Mina had snagged her recent hire. (He’s been at Cafe Juanita since September.) But like it or not, that’s how the Monopoly game of restaurant work is too often played. And chef Smith insists her initial loss has turned into a substantial gain.